The Flamingo Brooch was designed by two very stylish women. Image courtesy of Nils Herrmann, Collection Cartier. IT is a collage of calibrated sapphires, rubies and emeralds and was born of a collaboration between Wallis, Duchess of Windsor and Jeanne Toussiant, director of Fine Jewelry at Cartier. The item in question is the Flamingo Brooch. It is among hundreds of pieces of jewelry, timepieces and other precious objects in the new “The Art of Cartier” (El Arte de Cartier) exhibit at Madrid’s Thyssen-Bornemisza Museum. The exhibit is on view through 17 Feb. 2013. Elizabeth Taylor wearing the Ruby and Diamond Necklace. Photo courtesy of Photofest, The Cartier Collection. The brooch and the 400-plus other objects in The Art of Cartier” are on loan from the famed Cartier Collection. It also has the further distinction of being seen for the first time in a Cartier Collection anywhere. The collection is a traveling show of items begged, borrowed, bought (but not stolen, we’re sure) from the jeweler’s most wealthy, prominent and aristocratic clients and/or their estates and at auction. The platinum tiara that once belonged to Spain's Victoria Eugenia is now worn on occasion by Queen Sofia. Photo courtesy of Casa Real. Also on view for the first time as part of the Cartier Collection is the Diamond and Ruby Parure Tiara that Princess Grace of Monaco wears in her official portrait. It was a gift from her husband Prince Rainier III. 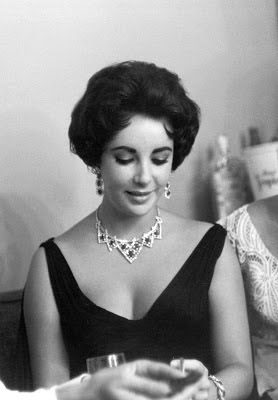 The Ruby and Diamond Necklace that Elizabeth Taylor is wearing in a 1958 photo taken in Las Vegas was gifted to her by then-husband Mike Todd. It sold for $3.7 million last year at the history-making “The Collection of Elizabeth Taylor” auctions at Christie’s (http://www.bit.ly/VyqWq8). It is also new to the Cartier Collection. Though the roughly 23-year-old Cartier Collection has been a traveling exhibition since it journeyed to the Hermitage Museum in St. Petersburg in 1992, its installation at the Thyssen-Bornemisza Museum marks the first time that it has been to Spain. In 1904, Cartier became the official jewelry supplier to the royal court. One object it created is the Garland-style Tiara gifted to Queen Victoria Eugenia by King Alfonso XIII in 1920. The platinum tiara has round old- and rose-cut diamonds and eight pearls. Today, Queen Sofia wears it at official events. The Crocodile Necklace converts into brooches. Photo courtesy of Nick Welsh, Cartier Collection. The official portrait of Princess Grace of Monaco. Photo courtesy of G. Lukomski and Archives of the Prince’s Palace of Monaco. The reptile lover and major film star from the late ‘40s to the late ’50, was also the owner of the Crocodile Necklace. This affair in gold has 1,023 brilliant cut fancy intense yellow diamonds, two navette-shaped emerald eyes (for a total of 1,060 emeralds) and two ruby eyes. The Crocodile Necklace, featuring two crocs, is actually a convertible piece. The crocs can be worn separately as a brooch or together as a necklace. Around the neck, the feet can be replaced by clawless paws to prevent scratching and other irritants to the skin. The Egyptian Striking Clock is bedecked with 15 jewels. Photo courtesy of Nick Welsh, Cartier Collection. In the non-jewelry category (but not without jewels) in “The Art of Cartier” is the Egyptian Striking Clock. It was sold in the late 1920s to Florence Blumenthal wife of George Blumenthal, head of Lazard Ltd. nee Lazard Frères & Co., a Wall Street investment bank. Some of the actual clock features include a rectangular eight-day movement, striking mechanism (hour and quarter-hour), three adjustments, bimetallic balance and Breguet balance spring. The clock is gold and silver-gilt and has a number of markings, including mother of pearl plaques carved with hieroglyphs and an Egyptian deity set with emerald, cornelian and enamel. It has, a lapis lazuli base and top, as well as polychrome and white enamel. 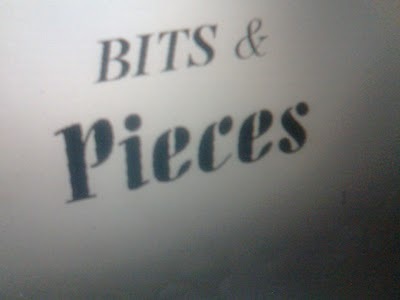 Last but not least, the clock is embedded with 15 jewels. Visit http://www.museothyssen.org/en/thyssen/home to learn more about “The Art of Cartier”; visit http://www.bitly.com/XdOmBH to learn more about “The Cartier Collection.